Occupational hazard as a Podiatrist that I have to wear them. None are perfect but these are pretty good and slightly larger than normal. Can you tell me the thickness of these aprons? These aprons are 16 microns thick. 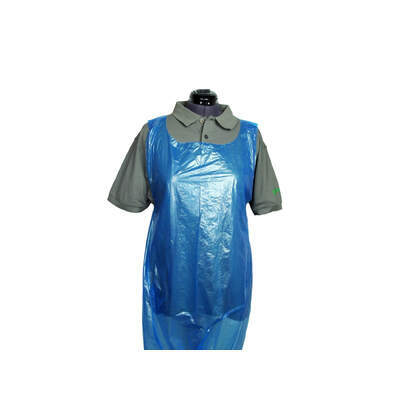 Keep the clothes of your employees clean at all times with our Disposable Blue Polythene Plastic Aprons - Roll of 200. 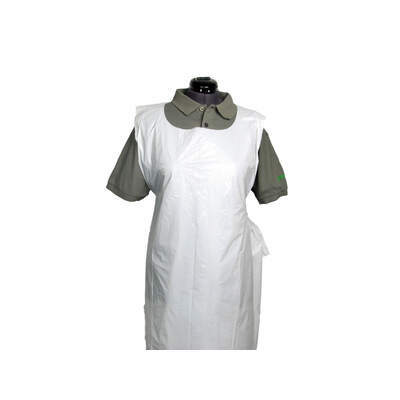 Suitable for the high-traffic environment, these lightweight aprons have been made from a 16-micron polythene and come on a roll for compact storage and easy removal of a single line. 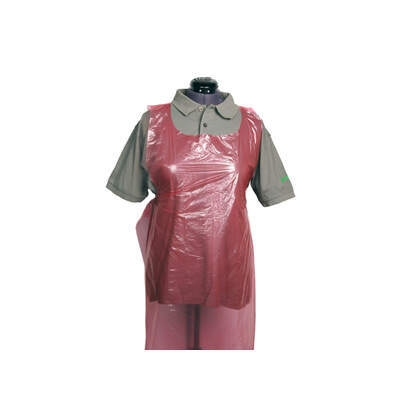 Covering the full length of the torso and stretching down to the knee area on most people, each plastic apron ties around the neck and waist to ensure a secure fit and quick removal. Each one is also liquid resistant, making them perfect for catering, cleaning, dentistry or first aid procedures. 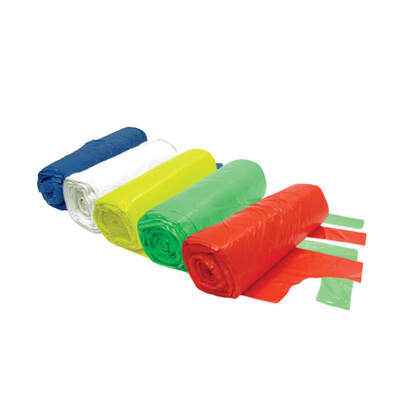 Why not incorporate these coloured aprons into your infection control coding system, whether you choose to follow the basic rules from CQC and the HSE? 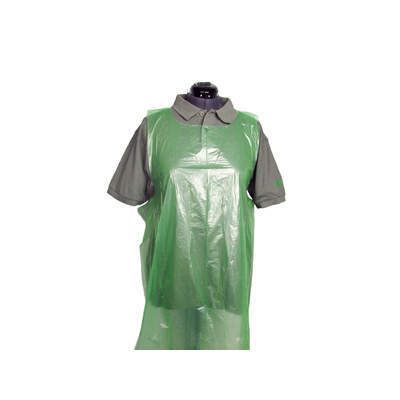 Our Disposable Aprons are also available in Flat Packs for environments that require less stock in one go. 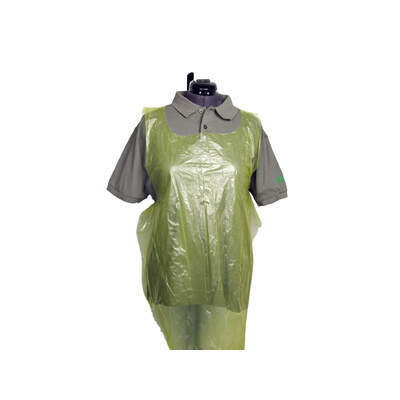 Alternatively, for businesses seeking larger aprons in a variety of colours, our Disposable Plastic Aprons are a durable and practical choice.